This natural home remedy might not sound that appealing, but it has been a successful treatment for hair loss for decades. Onion and onion juice can help you re-grow your hair. Read on to find out how and why it works. Furthermore, it contains the enzyme catalase, which is an anti-oxidant that can prevent premature graying for some people (I also wrote an article about the top natural supplements for treating premature gray hair). Onion’s potential as a potent home remedy for hair loss has also been studied scientifically. In 2002, the Journal of Dermatology published a small study that looked into the use of onion juice for alopecia areata (an autoimmune disease that presents with patchy hair loss). Squeeze the juice out. To extract the juice, you can use a food processor, a blender, a grater or a juicer. Leave on for at least 15 minutes (longer if you can tolerate the smell) and then wash out using a mild shampoo. If you apply onion juice to your scalp for the first time, test it on a small area first to make sure your are not allergic to it. Mix ¼ cup of onion juice with 1 tablespoon of honey (if more mixture is required, double the amounts). Apply the onion juice and honey paste onto your scalp. You can also cover it with a shower cap and leave it overnight. This is a natural treatment, so you’ll have to be a bit patient to see the results. Use it daily (or minimum three times a week) and allow at least two months for your hair to start becoming stronger and shinier. It takes a while before noticing results – as much as four to six weeks. According to the research about onion juice for hair growth, at four weeks, hair re-growth was seen in 74% of the participants and, at six weeks, the hair re-growth was observed in 87% of the participants. Does the onion juice treatment really work? According to the research, 87% of the participants had hair regrowth by using the onion juice twice daily on their scalp. Some of the readers of this article also left comments that it worked for them. Does it matter what type of onion is used for the hair loss treatment? There are various types of onions, and they are all vary slightly in flavor, texture, and color, but can usually be substituted for one another. I couldn’t find any reference that mentioned specifically a certain type of onion that is better for hair growth than any other type of onion. After applying the onion juice I am feeling more hair loss – should I stop applying the juice? I believe you’ve lost hair during massaging the scalp. I don’t believe you’ve lost the hair because of applying the onion juice. Too much massaging, unlike gentle massage, may cause hair loss. Massaging the scalp should boost up the blood circulation and aid hair growth. I can only believe that the hair you lost was about to fall out anyway soon. We also lose normally about 100 strands everyday, sometimes less, sometimes more. Follow the onion juice application with a gentle massage for a few weeks to see if you notice any improvement. If you don’t see any improvement, discontinue with the treatment. What are the side effects of onion juice on hair? The most common side effects of applying the onion juice to your scalp are redness and itching. If you suffer from these side effects try to leave the onion juice for a shorter period of time. You can also try to make the onion juice less concentrated by mixing it with some castor oil which can also help to regrow hair. Does onion juice work for dandruff? I don’t know if onion juice works for dandruff. For dandruff have a look at my article: 6 Effective Ways to Treat Dandruff Naturally. Can I store the onion juice in a refrigerator and apply it to the hair after some days? I recommend to use fresh onion juice to encourage hair growth. Some of the nutrients in the onion juice that help with the hair regrowth can get damaged after a few hours so it’s best to use fresh juice. I don’t like the smell of the onion juice – what can I do? If you really don’t like the smell, try some of the other natural treatments for hair growth – have a look at the next sections in this article. – If you’re bothered by the strong smell of the onion, add some lemon juice or rose water to your hair rinse. Essential oils can also be used. Rosemary and peppermint both promote hair re-growth. – The honey and onion mixture can also be taken orally. Consume it daily, so you ingest the nutrients. – Try adding onion to your food recipes. This will not act as fast as the hair rinse, but will provide additional dietary support. 1. Castor oil can keep your hair healthy, shiny and strong as I mentioned in my article on how to use castor oil to improve and regrow your hair. 2. Rosemary can also help in treating hair loss and you can get more information on how to use it in my article on how to use rosemary for treating hair loss. 3. Peppermint essential oil was found to have noticeable hair growth effects according to a research. Get all the details in my article on how to use peppermint essential oil for hair growth. 4. According to a research garlic can help you to grow your hair – get the full instructions in my post on how to use garlic for hair growth. 5. Certain essential oils can work wonders on your hair and scalp as I mentioned in my article about the best essential oils for healthy hair. 6. Apple Cider Vinegar (ACV) can also encourage hair growth – get all the information in my article on why you should wash your hair with ACV. 7. Apart from hair masks to encourage hair growth, there are certain foods and nutrients that you must include in your diet in order to have healthy, shiny and strong hair – read about them in my article about the best foods and nutrients for healthy, strong and shiny hair. It takes a while before noticing results. It’s hard to give a time frame but at least several weeks if not more. It’s not a quick fix as natural remedies take time to work. Each country has different brands, but you can use any brand that mentions on the label that it is cold pressed castor oil. I understand that “arandi” in Hindu is another name for castor oil, so any cold pressed castor oil is good. Hiii..I have dandruff and hair loss will onion juice be helpful and will i have any kind of burning sensation or irritation on my scalp after applying the juice?? If you apply undiluted onion juice you may have burning sensation. You will need to experience on a small skin patch to see if you have any reaction. If there is skin irritation, you can mix it with honey as suggested in the recipe. If you have dandruff, you can try these home remedies, as onion juice is not intended to treat dandruff. Is this really effective for treating hair loss? Am facing hairfall prblm severely in the past few months.But no bald yet.recently clean shaven my head for some reason.can I apply onion juice directly on my head now? Now it’s clean shaven.. Suggest an ans pls. Yes, you can apply it after shaving the head. Shall we apply onion juice n honey mix after applying oil to hair? Using castor oil to encourage hair growth is a different method then applying onion juice. You can mix or alternate between different methods if you want. dear Jenny . we can mix onion with castro oil ? hi jenny r u tried onion juice..?bcz am 25 but getting hair loss heavily so am worried abt tat. I personally haven’t tried it because I have good hair and don’t need it. Does it matter what type of Onion is used? What type of Onion do you recommend? Hi Sam, there are various types of onions, and they are all vary slightly in flavor, texture, and color, but can usually be substituted for one another. I couldn’t find any reference that mentioned specifically a certain type of onion that is better for this purpose than any other type of onion. I’m facing hair fall problem. Can I use onion juice+cococnut oil mixing? Hi Sayed, you can try this mixture. As for your second question – there are several methods for encouraging hair growth (which are listed at the end of the article). Every person is different and results vary between different people. Some people notice improvement while others are not. There is no 100% success rate. Also it takes quite a while before noticing results – usually several months – so it’s not a quick fix and patience is required. I don’t think that water without a soap will remove the strong odor of the onion juice, but you can try if you want. It depends. I used onion and garlic juice since 7Dec. It’s been 5 months and all of my hair has grown back. The entire full head hair has grown back for me. I wouldn’t bother with the oil. Not unless you have an unusually dry scalp. Luke – this is amazing. May I ask how old you are and if MPB runs in your family? How many time do you apply that mixture per week? I apply onion juice once a week.. Does it help me to promote hair growth?? You need to increase the frequency to at least 3 times a week. Once a week is not enough to promote hair growth. How many times a week did you use the juice? What sort of onions did you use? How did you deal with the smell? Hello i’ve been using from June 2014 until now and after 2 months of use, new hairs grew and whats amazing is i noticed that when i don’t use it for few weeks, i see hairfalls again so i continue using it at least 2 times a week or weekly. Coconut oil with onion is the best or add a little drop of lemon. Hope this helps. My officemate keeps on asking why my hair is do shiny. You’d better mix the olive oil with castor oil, as castor oil treats hair loss. See more information in my article about castor oil for hair loss. Another option is to add rosemary essential oil to the olive oil as rosemary is also known to treat hair loss – see more information here. i have been using olive oil to protect hair lose may it have a potential to stimulate hair growth and to protect lose????????????? I know that castor oil stimulates hair growth, but not sure specifically about olive oil, but you can mix the two of them and apply to the hair (see instructions here). Thanks for ur kind reply I got improvement in dendraf it has reduced .hope after few months of application I will see improvement. How many month minimum it takes to show results.i am applying it at least 3 times a week for 1 hrs. any specific direction for best result. I don’t know to give you exact time until you see results, as everyone is different, but I’ve read that you need to give at least 2 months, though usually significantly longer, until you notice results. Also some commercial products for hair loss mention that it takes 4-6 months before an individual should assess whether or not it helps, so it is not a quick fix unfortunately. If the hair loss is due to nutritional deficiencies, then diet plays an important role, but if it’s hormonal issue like many men have, then I don’t know if diet will play a significant role (although in any case it’s recommended to maintain balanced and healthy nutrition for general well-being). In any case, I have an article about a number of foods and nutrients that you should include in your diet in order to have healthy, shiny and strong hair, and you can look at them here. You can try both methods as you’ve described. As for white hair – you can have a look at my article about The Best Natural Supplements for Treating Premature Gray Hair. Onion juice really works wonder. Basically, you have to trust what method you are following. Unless you believe what you are doing, you may/may not find the desired results. I suggest you to first address your acidity problem. Hair growth reflects overall body function. If, everything is perfect one will have good hair growth. But yes, there are few exceptions. Include Cucumber and buttermilk in your diet. I had a badly receded and thinning hairline. I virtually lost hope that I could ever have a full head of hair. I tried rogaine, didn’t work. On the 7th Dec I started using onion and garlic juice on my scalp. Also, I pinched the scalp skin between my fingers for about 10 mins a day. After 6 weeks I had scabs (cradle cap). My mum told me I had this as a baby before I got my first batch of hair. Anyway, after 4 months all of my hair grew back. It has been 5 months and I have what looks like completely regrown all of my hair thanks to onion, garlic and massage. It feels very thick like when I was a teen. Shiny bald areas have completely filled in. The same thickness as a teenager hair!!! Everyone do this!!! It’s quite miraculous. Hey bro!! I have lost a lot of hair although stage of shiny head is not reached yet..i have started using onion juice a week earlier..can i regrow my hair like before ?? I’ve some questions, how to prepare and use onion and garlic juice? How many times per week i need to use? You can find more information in my article on How to Use Garlic to Promote Hair Growth. You can add onion juice to the solutions offered there. Just remember that pure garlic juice can be irritating to the skin when used alone, as it is very powerful. For this reason, it is important to mix garlic juice with other ingredients to reduce the chances of skin irritation on the scalp. can i add castor oil onion and garlic together? it works? my hairs r oily …. castor oil vil suit for my oily hairs? Yes you can. As your hair is oily it is important to avoid overusing castor oil. am using ritha (soap nut) after using this also there is a hair fall n my hairs become rough.. plz suggest me wht to do how to stop hair fall..
Hi Nida, I believe you’ve lost hair during massaging the scalp with the soap. Too much massaging, unlike gentle massage, may cause hair loss. Massaging the scalp should boost up the blood circulation and aid hair growth. I can only believe that the hair you’ve lost was about to fall out anyway soon. We also lose normally about 100 strands everyday, sometimes less, sometimes more. To stop the hair from falling follow the application with a gentle massage. As for the hair loss you can try several methods: the onion juice as mentioned in the article or castor oil (see details here) or rosemary essential oil (see more details here). Hi, at the age of 26 , my all hair are grey now.and last 1 year I am facing terrible hair fall. And there is one big spot on middle of my head. I have been using homeopathy treatment last 8 months but not seeing any improvement. Could you plz tell me that onion juice can help to regain my hair as well dendruff. I am so much worried. Plz help me. There is no single solution that fits all and results can vary between different people. Sometimes you have to try a certain treatment to see if it works for you or not. There is no 100% guarantee. The best thing you can do is to try onion juice for at least two months (preferably more) and see if you notice any improvement. As for dandruff – you can find here 6 Effective Ways to Treat Dandruff Naturally. Hi,I had wear onion juice for two Days only on my hair.my hair started falling Down :(plz help me. Hi Vini, see my reply to Naveen who had the same problem. Is it safe to add lemon juice and onion juice together? You can add lemon juice to the onion juice if you’re bothered by the strong smell of the onion. Are you appling any oil too or just onion juice?? I’m 14, I’ve been facing hairloss for 2 years, this is the third year, for the last two years my hair looked good and I believed it was falling but growing back, but now it’s falling, but not growing back… It looks really thin, and their is some spots that my scalp are visible in them, I feel really bad about my hair 🙁 will onion juice work for me? and should I massage it over my hair or just the scalp? Hi John, I think it would be wise to try and find the reason for the hair loss, especially at such a young age (see my articles about Causes of Hair Loss). It’s a good idea to find the root of the problem rather than just treating the symptom. Your doctor will be able to find if there is any specific reason for that hair loss. Parallel to tackling this issue you can try onion juice (massage the juice into your scalp or cover the bald patches and leave on for at least 15 minutes (longer if you can tolerate the smell) and then wash out using a mild shampoo). You can also try castor oil for hair loss (see more information here) or rosemary (see more information here). It’s hard to know what method will work best as everyone is different and it takes time to notice results. I think I should go to a Doctor, but my parents believe that it’s about genetics because I’m a boy by the way, is that true? Indeed genetics play a big role in hair loss but starting to lose hair at the age of 12 as you’ve mentioned is a bit too early I think, so perhaps there is another reason for that, I don’t know. Which shampoo i hv too use….when i apply onion juice…. If you apply onion juice often and need to shampoo your hair frequently, you can use mild shampoo such as baby shampoo. Otherwise regular shampoo will do the job. I have started using onion juice but i hate onions honestly and it smells really bad even after mixing lemon juice , so want to ask u how to get rid of smell so that my frndz don’t find me stinking and how to wash hair daily without using shampoo bcoz it affects hair if i use shampoo daily , plz help thanks. Hi Vishal, you can try other methods for hair loss that will not cause your friends to run away from you. You can try rosemary (see more information here) or castor oil (more information here). As for daily shampooing – you don’t have to apply the hair loss mixture on a daily basis. You can do it several times a week, but not every day. Another option is to use a gentle shampoo, like a mild baby shampoo, that is gentle enough for the scalp and hair and is suitable to use on a daily basis. Hi, can i apply oil to my hair after appling onion juice after one hour?? Can I apply oil first and then onion juice? I don’t know if it’s a good idea, as when you apply the oil on the scalp, the onion juice may not penetrate the scalp (as oil and water don’t mix), so I’m not really sure about it. Am 29 started loosing my hair for about four years now some saying is genetic so can onion and honey help me regrow my hair back? It may help you or it may not. There is not a single solution that works for all the people, and results vary between different people. You can only know if it works for you and to what extent if you try it, but there is no guarantee for success. I guess it worth giving it a try – you’ve got nothing to lose. Does onion juice works for danruff and all??? I don’t know if it works for dandruff. For dandruff have a look at my article 6 Effective Ways to Treat Dandruff Naturally. I use only onion & garlic juice for one hour .is it’s right method? If you don’t develop any skin irritation than it should be fine. If it is too concentrated for you and causes you skin sensitivity, then you can dilute it as suggested in the articles. Hi. I’m 17 years aged girl,I once applied onion, I hope it works. Since 2 3 years, my hair loss more than the normal. As doctor said may be the iron deficiency is the cause for this, still I’m having medicines , but it seems no change. When I comb my hair,more than 30 strands of hair lose in each time,massaging my hand is full of hair, but it seems there’s no regrowth in my hair, and now it is really thin, 😖 what can I do for this?? I want d entire procedure. Hi Akshay, don’t apply the onion juice at the same time of applying hair oil. As for how to apply the onion juice – you have all the information in details in the article itself. Apply the paste onto your scalp. So can I apply onion juice now and wash it after a hour is it OK.
Use pure onion juice. If your scalp is still oily from the previous night, I’m not sure if the onion juice will be able to penetrate the scalp as the scalp is coated with the oil. This is why I believe it’s better to apply the onion juice on a clean scalp, but it’s not scientific so I don’t know for sure. Hi Florence, there are several natural ways that may help improve hair growth. One of them is onion juice, and the others are castor oil and rosemary. It’s hard to know what will work best, as each person is different and time is required before noticing any improvement. Not all methods work for all people and sometimes it’s a matter of experiencing and see what works for you. I was use onion juice for one month..now i stop use onion but also i begin using doogro oil now i can see new hair the result is onion or doogro oil result…the doogro oil i use only for 1 week only….which one is beter more….can i use both the oil and onion? Last year I shifted banglore n after dat I m facing the hairfall problem..now my hairs r vry thin n they r going to gray my doc says my foliciles r very weak he advice me some diet plan n sime medicine but It is not working plzzz give me sol for my hairs I loose my confidence n vry depressed..
Hi Deepika, the most important thing is to find the reason for the hair loss so you treat the problem from the root rather than treating only the symptom itself (read my article about common causes for hair loss). The second step is treating the symptom itself (hair loss) and there are several methods you can try: onion juice which is featured in this article, castor oil and rosemary. Also have a look at my article about The Best Foods And Nutrients for Healthy, Strong and Shiny Hair. as of 4 days in a week now i can see my hair is grown back and i ca feel the thickness of my Hair. You can try any of the methods to stimulate hair growth such as using rosemary essential oil (see more information here), onion juice (see information in the article itself) or castor oil (see more information here). You can leave it on the scalp for longer if you can tolerate the smell. You can also try other methods such as rosemary or castor oil. I don’t know which is better. There is not a single solution that fits all, and results vary between different people. It’s a matter of experimenting. I had thick hair but now my hair is thin .and I m facing hair fall for last 2-4 months. how to get thick and strong hair?? I use sun silk shampoo for many years .I wash my hair daily. I believe the first step is to identify the reason for the hair loss, for example, is it due to stress, nutritional deficiencies, hormonal issue etc (read my article about hair loss causes). The second step it to treat the symptom and there are several ways to improve hair growth: onion juice, castor oil and rosemary. I don’t know which works best, as every person is different, and what works for one person may not work for another one. It also takes quite a while until you notice results. As for daily shampooing – find a mild and gentle shampoo that is suitable for daily shampooing. Hai am prakash.i can use the onion juice for a daily basis?? You can use it daily or minimum three times a week. I am 19yrs old… My forehead starts loosing hair and is getting thinner.. I have tried many oils But the result is hair fall….. Will onion juice really works… I am going to try it.. Should i apply it on the areas of hair loss orelse full head…..
Hi Naveen, you are not the first person who complains about losing your hair after applying oil, and you can see my replies to other people. I believe you’ve lost hair during massaging the scalp. I don’t believe you’ve lost the hair because of applying the oil. Too much massaging, unlike gentle massage, may cause hair loss. Massaging the scalp should boost up the blood circulation and aid hair growth. I can only believe that the hair you lost was about to fall out anyway soon. We also lose normally about 100 strands everyday, sometimes less, sometimes more. Follow the application with a gentle massage for a few weeks to see if you notice any improvement. If you don’t see any improvement, discontinue with the treatment. As for your question if onion juice really works – there is not a single solution that fits all, and results vary between different people, so I guess it’s a matter of experimenting. Also it takes quite a while to notice results, so it’s not a quick fix. You can apply the onion juice on the entire scalp if you want or just cover the bald patches. Hey.. i have been using onion juice.. but i have been noticing alot of itching.. but at the same time i find the use of it effective.. should i continue? Some people suffer from a red, itchy scalp after applying onion juice as it is, after all, very strong. I believe that diluting the onion juice with water will reduce the itching. Experiment to find the right dilution for you that will not irritate your scalp. im 36 yrs old and experiencing hairloss. is onion juice really effective? Hi Ray, you will need a shampoo as the smell of the onion juice is strong and unpleasant and I don’t believe water only will remove that smell. Hi Ray, like any remedy, natural or not natural, there is no 100% guarantee that it will work in each specific case. Results vary between different people so I don’t know if it works or how it works in your case. Sometimes only experimenting with the remedy can reveal if and how much effective it is in your case. You can refer to my article about The Best Natural Supplements for Treating Premature Gray Hair. You can keep it for a short time in the fridge in an air tight container (maximum 3-4 days) but it’s best to use fresh onion juice. Instead of using onion juice, try to rub thin onion slices directly on your scalp. Hi Max, you’ll have to be a bit patient to see results. Allow at least two months for regrowing your hair. i noticed i was going bald, i panicked and turned the internet upside down in search of a solution and tried lots of products and wierd things buh none worked. a friend who used to tease me about the hair (in a bid to tease me further) bought a product from africa during his travels and he mockingly gave me as a present.I tried it and the result is unbelievable. infact he had to call his contacts in africa to get in touch with the manufacturers. I know how frustrating and confidence-sapping being bald is thats why i took this painstaking mission to reveal to any who wants to try it. you can contact the manufacturers on([email protected])I hope this message helps. I tried to send mails to that GMAIL you’ve mentioned, I had good conversation with the manufacturer name Omotosho Lateef. I just send him the payment today and then now await for good news. Thank you for mentioning that so it could also help people like us who have suffered hair loss. And please do you mind sending me a mail to this email add [email protected] or [email protected], so we can be friend and I need some help from you and especially in making sure that this company will surely send me the product, especially how do you applied the product for better result. Await for your kind respond. I made onion juice one time.. And I have store this for last 15 days in my free and using everyday … It is safe or not? If it doesn’t cause you any skin irritation it’s fine. Hai mam.my hair is losing for last 2yr.i have dandruf also.does onion juice can’ solve my problem?i am in great sad . Will u pls suggest me a solution?i am losing my hair from my forehead so i have abig forehead too.Pls rply me mam. Hi Mithu, I don’t know if onion juice is effective for dandruff. If you have dandruff, you can try apple cider vinegar (see my article How to Use Apple Cider Vinegar to Get Rid of Dandruff), or other methods – see my article 6 Effective Ways to Treat Dandruff Naturally. Hy jenny. my hair is thin from childhood bt now hair fall occuring bladness in front part of my head. one of my friend suggest to shave my hair and massage with onion juice at night time. in morning he suggest me to wash head with soap pears n not to use shampoo. after that he provide me some vrgin olI’ve oil to use n massage in my head. I am now apply his instruction from few days. can u give me any instruction regarding this issue?? I am 27 years so I think my hair fall cause is due to hormonic level. Unfortunately I don’t know to give other instruction regarding this issue other than what I suggested in the article. You can also have a look at other methods to encourage hair growth: castor oil and rosemary. As a starting point it’s best to start for a shorter period of time and see if you don’t develop any skin irritation. Do it for several times and see how you go. If there is no skin reaction, you can gradually extend the period which you leave it on the scalp. Pls can i use this method to treat Triangular Alopecia? It’s the presence of hair follicles but also the presence of Vellus hair instead of terminal hair, and it’s been there since i was born… pls i really need to know if it can help my hair grow. Unfortunately I don’t know the answer. You have several options to try: onion juice (see instructions in the article), castor oil (more information here) and rosemary (more information here). Hi, I am 19 years old. At the moment I am seeing white hair. It is not noticeable if you look at me from about 2 metres far, but if you come close and look specifically at my hair you can see a couple. When I use wax it is not noticeable although when I wash it and keep it dry I can see a couple in the mirror. What should I do? And what are the chances that the white hair will leave? thanks. Hi Sean, you can find more information in my article The Best Natural Supplements for Treating Premature Gray Hair. As for your second question – I don’t know. Everyone is different and results vary between different people. Can i use onion juice in the noon n apply castor oil in the night? Would using both onion juice n castor slow down or affect the re growth of hair? Or is it safe to use both? I don’t think there is any safety issue with using one method in the noon and another one at night (unless you find that onion juice irritates your skin which can happen to some people). I don’t know what the effect is of using both methods in comparison to using only a single one. See my reply to Naveen who had a similar problem. I am 22 years old male. I have been losing 50-100 strands daily since last 4-5 years. Before that i didn’t used to lose even a single hair. Now my hair are normal. There aren’t any bald spots but density of my hair should increase a bit. I consulted a doctor too..
he told you have genetically good hair… 50-100 hair fall is normal. He gave me some pills. He also told they have been damaged by some amount of pollution. But now its ok..
By applying onion juice can hair fall be reduced to zero? Hi Vijay, you cannot reduce hair fall to zero. Normally we lose 100 hairs a day, sometimes more, sometimes less. Onion juice can aid in hair growth but it cannot reduce hair fall to zero. Would it be fine to shave hair for better result? I don’t know if shaving gives better results. You can use regular onions (the white, yellow or red types). Onion juice really works. I was having hairfall and I applied onion juice on my hair and after the first wash itself there was a noticeable difference. My scalp was squeaky clean and my hair was so smooth and shiny. I lost only about 20 strands in total during and after the wash. After that till my next hairwash I lost only 4 or 5 strands, which is totally amazing. I mix onion juice with my coconut oil and a few drops of castor oil, almond oil and moringa oil and leave it on for about an hour and wash off with a herbal shampoo. I do it twice a week. The smell is barely noticeable when mixed with oils. I use red onions btw. I swear by onion juice. Hope this was helpful! Hi priya!! Can u plzz tell me from where i can have the almond oil,coconut oil,castrol oil. And tell me what is moringa oiland plzz tell me how did you make the onion juice..plzz help me as soon as u can. Hi Naveed, results vary between different people so I don’t really know how big the role of the heredity is in your case. You can also try the castor oil method. When you buy castor oil, make sure it is cold pressed castor oil. Hi, is it advisable for man to use olive oil on his hair? Is it advisable to apply onion on the afternoon then apply olive oil at night? After apply I’ll wash it but is it encouraged? I’m not sure about olive oil, but you can use castor oil which is known to encourage hair growth (see more information in my article How Castor Oil Can Improve and Regrow Your Hair). You can try both treatments as you’ve suggested. You need to remember that it takes time to see results, and that results vary between different people. Hi Olivia, you need to try and see for yourself, as results vary between different people. Is it compulsory to add castor or coconut oil in onion juice or can only be onion juice be more effective. Can I leave it for whole night or wash after 1 to 2 hrs.? Pls suggest. I m of 25. Hi Manjeet, I will try to answer your questions: 1. you don’t have to add oil to the onion juice. Some people find that onion juice irritates their scalp and then they can dilute it. The reason that people mix onion juice with castor/coconut oil is probably because these oils are known to encourage hair growth (see my article about castor oil for hair growth) so they try to achieve accumulated benefit. Other people don’t combine the two, but alternate between the methods. 2. I don’t know what is more effective. I couldn’t find research about it, and results vary between different people. 3. You can leave it for 1-2 hours or leave it overnight. Again, because there are no studies about it, there are no official established rules. Start from a shorter period of time and see that it doesn’t cause you any skin irritation. is onion juice effective for alopecia treatment on a 4yrs old child? I don’t know. Onion juice can irritate the scalp so I wouldn’t use it on a child’s scalp. From sources I’ve looked at, big onions are suitable as well. Hi Avi, from what I’ve read, this is a complaint of many new arrivals in Arabian Gulf countries. The main source of tap water in the Arabian Gulf is desalinated, but since the seawater is polluted, it causes more bacteria growth. To treat this problem, desalination plants add more chlorine to kill bacteria and then add lime (a calcium compound) to help control the chlorine levels. The chlorine and calcium in desalinated water are the ones to blame (unless there are other reasons for the hair loss, such as stress, nutritional deficiencies, poor diet, hormonal issue etc, which needs to be addressed too). I guess that drinking bottled water will help to restore your hair, but parallel to it you can try various methods to encourage hair growth, such as onion juice, castor oil or rosemary. Hi Mehak, I think the first step is to identify what’s the reason for the hair loss so you treat the problem from the root. Is it due to nutritional deficiencies, hormonal issue, extreme stress, a medical condition, etc? (see more in my article about 10 Causes of Hair Loss and How to Treat Them. The second step is to treat the symptom itself (hair loss), and there are different methods for that: onion juice, castor oil and rosemary. It usually takes several months to see improvement, so patience is required. Also result vary between different people. I am sharing my experience with you all. I had this hairfall problem. I was almost bald. I did not try any other products to stop the hairfall and get the fallen hairs back. Actually one of my uncle who is now 46 gave me the solutions towards this problem. Its the onion juice and cold pressed castrol oil. Apply onion juice leave it for an hour then wash it off. The very same day before going to bed apply your castrol oil. Cold pressed castrol oil is very thick. So, it takes 48 hours to penetrate ur scalp. If you are applying it overnight and washing it off the following morning. No it doesnt work like that, You are actually wasting it. It has to be on ur scalp atleast 48 hours. Onion juice helps to stop your hairfall and catrol oil helps to regrow the hair. its not like u wakeup tomorw morning with full hair. it takes 18 months for the best result. One month is too short time to notice results. It’s not a quick fix and patience is required. You need to wait several months to see if it makes any difference. You also need to find out if there is any underlying cause for the hair loss, such as extreme stress, nutritional deficiencies, hormonal issue, etc (see more in my article 10 Causes of Hair Loss and How to Treat Them). Hi Jenny , i want to use onion juice on my hair daily.I Want to leave it on my hair overnight. If i do this everyday do i have to wash my hair with shampoo the next morning too ? Wouldn’t it be unhealthy for my hair if i use shampoo everyday ? Or Should i do it ever 2 or 3 days ? To get rid of the onion smell you will need to shampoo the hair. If you don’t want to shampoo the hair everyday, you can either apply the onion juice every second day instead of daily, or if applying onion juice daily, you can use mild shampoo such as baby shampoo for your hair. Thanks for replying back so fast. I’ve been thinking how about using lime to add into the onion juice instead of lemons to reduce the strong smell ? Do you think it will work because I have a lot of hair loss as a teen . So if i do it regularly it would solve my problem much faster , right ? You can use lime instead of lemon. As for what results to expect – results vary between different people and there is not a single solution that fits all. There is no 100% guarantee for success in many treatments (conventional or natural). You also need time to see results, and many people don’t have the patience to wait as it’s not a quick fix. There are also other methods to treat hair loss (castor oil and rosemary), and it’s hard to know what will work best for each person. It’s often a matter of trial and patience. Hi! After using the onion oil, i mean afyer u apply it, u said to just rinse it with water, will the smell also go away? Or can i use shampoo to rinse it? When it says to “rinse it off”, it means you can also use shampoo to get rid of the smell. I came to know that using coconut oil in which curry leaves are fried would give better results for hairloss.. Can u suggest about it? There are references that mention coconut oil for hair loss. Whether it gives better results I don’t know, as there is not a single method that works for everyone, and results vary between different people. What you can do is try the castor oil method (more information here), and add to it coconut oil. If you’ve tried numerous products with no results, then you need to be realistic and understand that there is no 100% guarantee for a certain method to work. Every person is different, and what works for others may not work for you. The best thing you can do is to try. When you try a new method, give it enough time to work and be patient, as it usually takes several months before noticing any improvement. Many people expect a quick solution, but unfortunately it doesn’t work that way. You can have a look at other method to encourage hair growth – castor oil and rosemary. Can garlic help in hair loss? I have read it on the other web site. I’ve seen references about that, but I haven’t researched it yet. I might do it soon. Hi Dear.whats the good way for use onion? 1.is it good to use it alone or mix with honey? 2.is it good to use in night? because i haven’t time in day. 3.whats the best period of using this treatment?month or 2 or 3 month. 4.is it have any side effect or not? Hi Abid, as for your first and last questions: onion juice can irritate the skin of some people who have sensitive skin, so for these people it’s a good idea to dilute the onion juice with a little bit of honey or even water or leave it for a shorter period of time to reduce the chance of skin irritation. Question 2: You can use it during the night. Question 3: This is not a quick fix and patience is required. It takes time to notice results (and results can vary between different people), and you need to do it for at least 2-3 months, and probably even more. Even commercial products in the market require several months to notice results. Hi Jenny, I am looking to boost my hair and help it grow faster in length. Someone suggested me to mix shampoo with onion in the blender, put the mixture back in the shampoo bottle and use it for washing my hair on a regular basis. Do you know if this will work the same as the onion juice? Will the onion go bad in the mixture? Once the onions have been chopped or sliced and the juice was extracted, the mixture can be stored in your refrigerator for several days. When applying onion juice only, the recommendation is to leave it on the scalp for a while (at least 15 minutes, longer if you can tolerate the smell), but usually when you shampoo your hair it is a much quicker process, so probably there won’t be enough time for it to work. Also if you apply onion juice (with or without mixing with shampoo) there will be an unpleasant smell which will need to be rinsed again anyway, so I don’t know what mixing with the shampoo will benefit here. But these are just my thoughts. Will mustard oil help in regrowth of hair ?? I don’t know. Castor oil can help though (read my article about castor oil for hair growth). Wich kind of shampoo can use?? If you need to shampoo your hair frequently, you can use mild shampoo such as baby shampoo. I have been suffering from hair loss,may I apply coconut hair oil after applying onion juice? Is it mandatory to apply shampoo after applying onion juice? You can apply coconut oil after applying onion juice, or you can use the castor oil method (see information here) and mix the castor oil with coconut oil. The reason for shampooing the hair after staying with the onion juice on your scalp for a certain amount of time is to remove the potent smell of the onion. Rinsing with water only will not completely remove the smell. If you are afraid that frequent shampooing will damage your hair, use a mild shampoo, such as baby shampoo. Need some advice……i am losing my hair since last 2 years…but i havent got any solution….even i am suffering from dandruff….what should i do for heavy hairfall and dandruff…..should i go for castor oil…what would be the reason of my hairfall?? Hi Vishal, there are many reasons for hair loss, for example, genetics, hormonal issues, nutritional deficiencies, extreme stress, aging, certain medical conditions and more (see my article 10 Causes of Hair Loss. You need to try to find the root of the problem and see if there is something you can do about it. Parallel to it, tackle the issue of dandruff – see how to do it in my article about 6 Effective Ways to Treat Dandruff Naturally. As for the hair loss – you have several option treatments: onion juice, garlic, rosemary and castor oil (links in the article). It’s hard to know what will work best for you as results vary between different people. Sometimes it’s a matter of trying and giving enough time for a certain method to work. You can try perhaps the last recipe in this article (method 2) which combines several treatments together. I began losing my hair at age 19 and over the years have tried lanolin, bear grease, bone marrow, regular scalp message, and now onion juice Nothing works. People who benefit from such remedies could be suffering from a scalp disease rather than male pattern baldness, which I suffer from. I thought the onion juice would at least thicken the fine strands that are left. Three months of daily use and nothing. I could cry! Your hair loss while using castor oil is probably due to massaging the scalp. Too much massaging (unlike gentle massage) may definitely cause hair loss. Massaging the scalp should boost up the blood circulation and aid therefore hair growth. I can only think that the hair you lost was about to fall out anyway soon. We also lose normally about 100 strands everyday, sometimes less, sometimes more. Follow the oil application with a gentle massage for several weeks (preferably several months) to see if you notice any improvement. This is not a quick solution, and patience is required. I am age 26 i have used in onion juice in last 3 months but still now my hair in fall please which solution ? There are several natural methods for treating hair loss which are mentioned at the end of the article, however it’s hard to know which one will be the most effective, as every person is different and what works for one person may not work for someone else. One option is to give the treatment more time, as these are not quick solutions and patience is required. Another option is to try a different method (for example method 2 in this article which combines several treatment options), and it might also be that none of them will give you satisfactory results. These are not magic solutions for everyone. I’m not sure Ajay. Perhaps you need to give it more time, as often 2 months is not enough time. I’ve read that the sulfur compounds in all alliums (such as onions and garlic) can get destroyed by cooking, as well as the enzymes, so best to use it raw. As for water temperature – just wash you hair normally as you would – warm water is fine. You need to give it time. It’s not a quick solution and patience is required and results vary between different people. Give it at least 2-3 months and see if there is any improvement. I am 24 year old and facing hair loss. My forehead is getting bigger rapidly. My parents or another blood relatives did not had any hair loss problem even they are of 60 years or more aged. I read so many articles regarding hair loss and home treatment on internet and found yours most discussed and useful. I am applying onion juice at my forehead scalp daily in the morning. It has just a week I started this procedure. I feel I am losing my hair more now (it may be my illusion also as I am focusing all time on my hair only 🙁 ). So my question is, in the starting phase of applying onion juice do hair loss increase, or it is just my illusion. Hi Faheem, several other readers reported about this issue and I’ve replied them that the hair loss is probably due to massaging the scalp. Too much massaging (unlike gentle massage) may definitely cause hair loss. Massaging the scalp should boost up the blood circulation and aid therefore hair growth. I can only think that the hair you lost was about to fall out anyway soon. We also lose normally about 100 strands everyday, sometimes less, sometimes more. Follow the application with a gentle massage for several weeks (preferably several months) to see if you notice any improvement. This is not a quick solution, and patience is required. Thanks Jenny, I am following procedure daily. Will post if any improvement found. All of sudden I started have hairfall. I got my hair cut done recently too. I am in a new place and the water here contains too much chlorine. I even used frankincense and cedarwood. I don’t know if I committed a mistake there. Please help me. I thought if trying the onion juice. I stay in a hostel. Please help me. I am going bald all of a sudden. Hi Daniel, chlorine in water can damage hair, but not necessarily make it fall out. You may need to see if there is another underlying reason for your sudden hair fall (see 10 Causes of Hair Loss). You may want to discuss it with your doctor. The minimum period to see result is 2-3 months, but often it requires more than that. Even with commercial applications they often require 6 months or even more. Unfortunately it’s not a quick fix and patience is required and results vary between different people. I would give it more time. I see that you give a good advise to people here on helping to prevent hair loss & re-growth hair. Problem for me is also the same. Past 7 yrs have losing quite some good amount of hair it has become very thin. Hi Raman, many people try different applications, and not everything works for everyone. Usually the results can only be noticed after several months, and by that time people run out of patience, and for some people the applications simply don’t work. You can see at the end of the article other natural methods for treating hair loss. You can try some of them and give enough time to see if you notice any improvement. If nothing helps, learn to accept yourself. I believe you have a lot of other merits that will shadow the thinning hair. Hi Nilesh, there is a link between smoking and hair loss (see this study) and there is also link between heavy drinking and hair loss (see this reference). There are of course other reasons that can contribute to hair loss, such as hormonal changes, heredity, excessive stress, nutritional deficiencies and more (see more about it here). Parallel to ditching your habits of smoking and excessive drinking, you need to find out if there are other underlying issues that cause this problem. You can try the onions juice method as well as one or some of the methods mentioned at the end of the article to encourage hair growth. It’s not a quick solution and it may take several months before noticing any results, so you need to be patient. I don’t know which one of the methods will provide you with the best results, as results vary between different people. You can try castor oil or diluted rosemary essential oil. If you suspect that a certain hair product or procedure causing you the problem, you need to eliminate it and see if there is any improvement. Parallel to it, try to find if there are other triggers that cause you the hair loss, such as extreme stress, nutritional deficiencies, heredity etc (see more about it in my article about 10 causes of hair loss). After targeting the root of the problem, you can try to treat the symptom itself of hair loss. You can try the method mentioned in the article, or any other method listed at the end of the article with the relevant links for more information. You will need patience as it takes time to see results. hello, can i apply onion juice on my scalps during night time and wash it in the morning time? I would start from a shorter period of time and increase the time gradually to make sure you don’t develop any skin irritation. i m 18 yrs old and have gone a much bald from the left& right side of the scalp but my front & back side of the scalp is totally okay … will onion juice remedy work for me? Hi Rock, there are several methods to encourage hair growth. onion juice is one of them along with other methods listed at the end of the article. As in any application, there is no 100% guarantee for success, and results vary between different people. It’s hard to know which methods works best for a certain person and often it’s a matter of experimenting and giving enough time to see results (often several month) so patience is required. Men. Don’t worry about hair loss. Just keep your hair short and clean. There is no cure for baldness. If hair comes back a bit its just because you rubbed your head hard. You will never get a thick head off hair again otherwise we would see reall proof on websites that are convincing. Don’t waste your money or time on nonsence. onion juice is need to be applied on the bald patches or on all the hair..? You can apply to the whole scalp if you have thin hair or cover only the bald patches. is there any side effects of applying onion paste on heads of teenagers? Onion juice can irritate the scalp of some people who have sensitive skin, hence can be mixed with honey or diluted with water or if using neat, apply for a short period of time to see how the scalp reacts and increase the time gradually. I don’t know. Usually it takes several months to see if there is any improvement (even with commercial applications) and results vary between different people. Some people notice improvement while others not. I have been using onion juice. I have bald patches and I believe its because I had been a patient of alopecia and the patches are widened. Fortunately I have got rid of the disease and I am hopeful that I could get my hairs back through use of onion juice,proper diet, use of black seed oil, coconut oil sometimes in the day. Just would like to know if it is a good idea to refrigerate onion juice if you have trouble extracting on daily basis. I refrigerate for almost 2 weeks, does this reduces effectiveness and efficiency. I have read that fresh is the best, although you can refrigerate onion juice but maximum of 2-3 days. When applying the onion juice let it warm up to room temperature. Don’t heat the juice since it can destroy many of the juice’s potent qualities. Just take it out of refrigeration and let it sit for a while. Can i wear a shower cap to avoid smell of onion? Hi Iqbal, there are many possible reasons for hair loss, such as heredity, extreme stress, nutritional deficiencies, hormonal changes and more (see more about it in my article about 10 Causes of Hair Loss). It’s always a good idea to try and find the reason for the hair loss, and your doctor can help you with that. Parallel to it you can try various methods to encourage hair growth (which are listed at the end of the article). Some people try one method for several months to see if there is any improvement. Others alternate between two methods. In any case these methods are not a quick fix, and patience is required. Also results vary between different people. Some people find some of them helpful, while for others they will not work. my age is 28yrs ..i m facing hairfall problem from last 4 years. i used several things,oils & medicines but no use of it. From last month i m using onions juice…still waiting for its gud result. I need ur suggestion as my hairs r rough & scalp is oily even i stop using oil from 1 year. when i m doing some hard work or excercise i feel itching on my hairs. Hi Jon, you can try apple cider vinegar (ACV) hair rinse – find all the information in my article about Why You Should Wash Your Hair With Apple Cider Vinegar. i have used onion juice but it did not work y? How long have you been using it? You often need to give it a few months before determining if it’s helpful or not. It’s not a quick fix and patience is required. Not every remedy works for everyone and results vary between different people. There is no 100% guarantee for success in any remedy, natural or not natural. As for your second concern – I believe you’ve lost hair during massaging the scalp. I don’t believe you’ve lost the hair because of applying the onion juice. Too much massaging, unlike gentle massage, may cause hair loss. Massaging the scalp should boost up the blood circulation and aid hair growth. I can only believe that the hair you lost was about to fall out anyway soon. We also lose normally about 100 strands everyday, sometimes less, sometimes more. Follow the onion juice application with a gentle massage for a longer period of time to see if you notice any improvement. If you don’t see any improvement, discontinue with the treatment. There are other methods to encourage hair growth that are mentioned at the end of the article, and you may want to give them a try. You can make a larger amount and keep it for a short time in the fridge in an air tight container (maximum 3-4 days) but it’s best to use fresh onion juice. Instead of using onion juice, try to rub thin onion slices directly on your scalp. Can i oil my hair at night and leave it whole night and apply onion juice in the morning? yes, you can do whatever is suitable for you. i m applying onion juice from last 4 weeks. but my hairs are falling at the time of applying.and hairs get stuck after applying. n how shoud i wash the hairs after applying onion juice.i apply it daily 2 times. It takes more than 4 weeks to see results. Even with commercial applicatiosn you often need to wait a few months before noticing any improvement. After applying it for at least 30 minutes, you need to rinse it to avoid the strong smell. Jenny,hv had bald head for almost 7yrs now,do u think if started using onion juice will i be get postive results?. No, I don’t believe you will get positive results. It is more suitable for thinning hair. You have at the end of the article other methods for treating hair loss. If you choose to apply onion juice, then you will need to rinse your hair as the smell is very unpleasant. There are other methods to encourage hair growth which are listed at the end of the article, and have much better smell such as rosemary or peppermint which you can try. my mom want to re gain hairs…. she has. very few hairs on her head so….. the onion juice massage will work…. or may u suggest any other remedy for hair re gainng ? The first step is to identify what causes the hair loss of your mom so you target the root of the problem: is it hormonal changes, extreme stress, nutritional deficiencies or something else (see more about it in my article about 10 Causes of Hair Loss). The second stage is treating the symptom itself (the hair loss). There are several methods for treating hair loss and you can see the list at the end of this article. It’s hard to know what will work best for your mom as everybody is different and results vary between different people. Often experimenting or combining several methods is the way to go, as well as giving enough time to see results. The first step is to try and identify the root of the problem which is why you started to lose your hair. Is it extreme stress, heredity, medical problem (you said you have itching scalp) or is it something else? (see more about it in my article about 10 reasons for hair loss). The second step is to treat the symptom of the hair loss. There are several methods for treating hair loss which are listed at the end of the article and you can try one or some of them. I’ve seen several references about ginger for hair loss. This is because ginger stimulates blood circulation to the scalp, thus stimulating the hair follicles which results in restored hair growth. However when trying to find studies about this issue I came across this study which actually had the opposite results. This study was undertaken to measure 6-gingerol, the main active component of ginger, on hair shaft elongation in vitro and hair growth in vivo, and investigated its effect on human dermal papilla cells. The results of this study showed that 6-gingerol does not have the ability to promote hair growth, and on the contrary, can suppress human hair growth. Thus, 6-gingerol rather than being a hair growth stimulating drug, is a potential hair growth suppressive drug. How can someone preserve onion juice without compromising it’s quality? Anything I can add to the juice to preserve it for a longer period? Hi Ruth, from what I’ve read you can keep onion juice for a short time in the fridge in an air tight container (maximum 3-4 days) but it’s best to use fresh onion juice. Instead of using onion juice, try to rub thin onion slices directly on your scalp. Is it necessary to shave the hair for this treatment? I am just 16 yrs old and having hair loss gradually… I don’t know the reason… Is this treatment will be helpful for me? There is no need to shave the head. I don’t know if the treatment helps as everyone is different and results vary between different people. Some people find it helpful while others not. You also need to give enough time for it to work. It is not a quick fix and patience is required. Hi jenny,i am apply onion juice for hair and leave it for one week after i wash my hair is best or not. Hi Abi, I don’t think there is a need to leave it so long, especially when the smell is very unpleasant. Can you please give me the causes of hair loss……. Have a look here – 10 Causes of Hair Loss. There are different types of onions, such as red onions or white onions and both can be used. You can use onion juice all over the head several times a week. It takes quite a while to see results and patience is required. There are other methods to improve hair growth which are mentioned at the end of the article which you can try too. You can use both methods, but when using olive oil, you can mix with it castor oil which is known to treat hair loss – see more information in my article about How Castor Oil Can Improve and Regrow Your Hair. And for even a greater effect you can add a few drops of rosemary and/or peppermint essential oils which also improve hair growth and improve circulation. I don’t have this information, and I believe it varies between different people. I usually apply Olive oil in my daughter’s hair to control the fizz. My question is, will it be beneficial if I apply Onion Juice in her hair which have oil already? I don’t know if it’s a good idea, as when you apply the oil on the scalp, the onion juice may not penetrate the scalp (as oil and water don’t mix). If you just apply olive oil on the hair and not the scalp, then there is no problem to apply the onion juice on the scalp itself. Hi! Can I chop the onions and add it to the shampoo? Does that work? I don’t know but I don’t think it’s a good idea. At the end of the day you want to wash your hair to remove the onion smell. If you add it to the shampoo, your shampoo will have a smell of onions and it’s not very appealing. what are diets should I fallow to keep my scalp healthy internally…. i started to apply the raw Onion juice from yesterday, i applied in night & left as it is & washed in morning…can i apply without any mixing? if yes, how many times a week should apply ? applying every day causes a problem? You can use it daily (or minimum three times a week). My hairs are getting reduced and in one side baldness appears. Will applying onion juice brings back hair on that side ? Every person is different, and what works for one person may not work for another one. There is no solution that fits all, and often you need to experiment and see if it works for you. Will drinking the mixture of onion juice and honey help regrow hair? The participants in the research mentioned in the article used it topically and not internally. I ve’ been applying onion juice thrice a week from last 8 months and trust me i am getting positive results.. Earlier my hair started becoming so thin because of hair fall that the upper portion of the scalp became visible, but trust me after this onion remedy my hair has regrown and my scalp is no more visible as its totally covered with hair. I also use castor oil mixed with coconut oil and it is also working great for me. But dont stop the remedy after it starts showing ghe result. Yes you can reduce the days of application but dont stop it altogether. What will happen if I stop using it? Will my hair fall off to a bald head. It’s Ben 2weeks and it’s looks like it growing grip top and back. Is it like refrain if I stop using it it fall off? Howmany times in a week u r using oil? Can u please give me details bro? I had also hair fall problem so my friend suggested hair transplantation because most of my hair lost in the frontal area.i did hair transplantation before 1 year and i got amazing result but on the top of my head(where i didnt go for hair transplantion because at that time hair density was good in that area) hair fall problem is increased too much so i asked my friend who suggested me hair transplantion(he also go throgh transplantion) then he told me to use onion juice for hair fall problem befor that i was using hair 4u 5% minioxidl hair oil.he told me to stop that and start to use onion juice so i just wanna to ask you can i apply it on transplanted area too or the area where the transplantion is not done? I’m actually not sure and I couldn’t find information about it. I don’t believe the onion juice can cause any problem to the transplanted area, but probably the best thing to do is to ask about it in the clinic that did the hair transplant just to be sure. Thanx jenny just wanna ask one more thing my scalp is oily type so which is better for me to use only onion juice to to add so cockonut oil with it while applying it on my scalp?? ?which give better result as i said my scalp is oily type and is it ok to use herbel shampoo thrice in a week? If you have oily scalp, then probably it’s better to use only the onion juice without adding the coconut oil. You can use herbal shampoo 3 times a week. You can only apply to the bald patches using a gentle massage to increase blood circulation to the area. Hello myself Waseem i am 25 year old.actually my hair fall problem was incrasing day by day and still continue so i just consult a hair expert last year then he suggested me Minioxidil hair oil and tablet also.I am using oil and tablet from last 1 year but my hair fall problem is still same and my hair on the top portion become so thin that my scalp is getting visible. So one of my friend suggested me to use onion juice alternate twice in a day means 6 times in a week.I am started onion theropy before 10 days. 1)I am using only onion juice without any oil,honey or lemon and my scalp is oily.so should i use onion juice or i need to mix some oil or honey for better result? 2)I completly stops using any type of oil(Minioxidil which i am using before)as i started onion theropy so should i need to use any type of oil at night or day if yes then howmany times in a week?as i also mention my scalp is oily type. 3)which shampoo is better for me,Head&shoulder (as u know better its having lots of chemical)or Herbal shampoo? 4)I didnt found any improvment in hair fall in last 10 day its same like before so howmuch time it takes to see the result? 5)I am using onion juice twice after one day so both time i need to wash it off(means with shampoo) or i can wash my hair 1 time with water and at night(2nd time) with shampoo? 1) You can use only the onion juice. If however it causes you skin irritation, you can add the other ingredients. 2) You can add oils to encourage hair growth if you want (see more information in my article about How To Make Your Hair Grow Faster: The Best Natural Ways). After applying the oils you will need to shampoo your hair to remove the excess oil. It’s up to you how often you want to apply them, but usually for hair growth it’s at least 3 times a week, but there are no strict rules. 3) Use mild shampoo such as baby shampoo or natural shampoo. 4) It takes quite a while to see results, and patience is required. It’s not a quick fix. You will need at least 2 months (preferably more). Even with commercial applications it’s recommended to give several months to asses the improvement. 5) I don’t think washing with water only will remove the strong smell of the onion. If you don’t want to shampoo twice a day (which is too often), reduce the frequency of applying the onion juice to only once a day or several times a week. Actually i dont have problem witg the smell of onion i just wanna know if i wash with water in a day and with shampoo at night so this is good to wash with water?because dont issue with shampoo but when i wash with water then it never completly remove smell which i dont creat any problem for me but after washing with water and leaving it whole day will cause any negative effect on my scalp or hair that exactly i want to know…. If the smell doesn’t bother you then there is no problem to rinse it with water. It will probably remove a great part of the onion juice, but if some of it is left, and it doesn’t cause you any skin irritation during the day then it’s fine. Hello my name is ajmal, my hair is v dry and rough and also damged and weak…so i always keep v short, is there anyway to increase hair growth and make my hair strong,thick just like normal hair? Hi I been using it for 2 weeks ow and I’m starting to see good results. My questions is if I stop using it will my hair fall off from my bald patch like regain of u stop using it it all falls off. It says applie once a week. If yes they should I buy Cator Oil to stop hair fall and stop using onion juice when all my hair has grown. Hi Sam, to regrow your hair you need to use it daily or minimum three times a week. I’m very surprised that after only 2 weeks you’ve seen improvement, as usually it takes much longer. I couldn’t find information from the research as to what happens when you stop applying it, and I guess the hair fall will continue as it’s not a permanent solution. Perhaps in the future you can reduce the frequency of the application and see how it goes. You can combine onion juice with other methods to regrow your hair faster (see the method in my article How To Make Your Hair Grow Faster: The Best Natural Ways). Thanks for replying. Can I use Cator oil for hair fall then. And also is ot ok if I reuse it for next week to use or a fresh onion juice? Because I’m thinking of making a lot for 2 weeks. Yes, you can use castor oil as well. You can keep onion juice for a short time in the fridge in an air tight container (maximum 3-4 days) but it’s best to use fresh onion juice. Instead of using onion juice, try to rub thin onion slices directly on your scalp. Thanks my hair is growing fast I’m 23years old and I’m solo happy. My hair grows fast I didn’t know I will see results in 2 weeks. Now I’m on 3 week and it’s gone darker. My family thought I was spending too much money on Regain my dad was angry he thought I was but I told him its onion juice that helps me and it’s safe too ;-). He read all your blog and comment and he’s following it too. I hope his hair grows fast like mine. I think it will. After it fully grown I will stop using it and use Castor Oil to stop Hair Fall from falling. But if I stop using Castor Oul will it fall off or it won’t.? You can try or combine other methods to encourage hair growth. I guess that in the future you might be able to reduce the frequency of the application to maintain the results, but these are not permanent solutions, so once stopping the application I guess you can experience hair loss again. Hiii i am usig onion juice from last 2 weeks i know it takes time to see the result.before that i am regularly using hair oil daily.actually my scalp gets oil even after 1 day from bath and i am not using any oil from last 2 weeks.so is it better to use oil for me to make hair strong because my scalp get oily even after not using any oil i am using only onion juice. I guess it’s best to use onion juice only and not apply any oil. can i use any other shampoo washing it or leaving it like that can it cause another problem? Leaving it for a longer period is up to you, as long as the smell doesn’t bother you and as long as it doesn’t cause you any skin irritation. Last year i consulted maxim about my hair baldness problem,upon consultation right away they told that for FUI or FUE treatment i need $2500 for that hair transplant thing,since i dont that kind of amount in my pocket i forget it,then i found in youtube about onions i tried it for 5 months now and the result is amazing,my hair start growing i got more baby hair in receding hairline,im using it 4 times a week..onions+honey+castor oil,.it takes patience and hard work…drink more water everyday and dont forget to exercise…onions+healthy lifestyle really works!!,,. Hi, you have all the details in the article. Use it daily (or minimum three times a week) and allow enough time to let it work. It’s not a quick fix and patience is required. You can combine this application with other methods to encourage hair growth (see details in my article on How To Make Your Hair Grow Faster: The Best Natural Ways). You can rinse the hair with a mild shampoo such as baby shampoo. Hi I’m been using it for 1month now. Onion Juice + Castor Oil. And I’m starting to see result. When I put it looks darker and looks like I have hair. When look at my hair still looks like it’s still bald. Do I wait for more time. 1. If I stop using onion Juice and start using Castor Oil will my hair continue to grow? 2. If I stop using Both will it continue to grow. Because I read in your Blog that if you use Castor Oil it stops hair fall. And helps hair grow. Hi Sunny, you need to give more time than 1 month. Even with commercial applications you need at least a few months. It’s not a quick fix and patience is required. If after several months you don’t see any improvement, then probably there is no point to continue. From what I understand the solution is not permanent, so once you stop using it, the hair may fall back, but you can probably reduce the frequency of application to maintain the results. you will need to experiment as everyone is different. You can also have a look at other methods to encourage hair growth here. Thank you for replying love your blog and you always reply back when people ask you questions. Keep up the good work. But can try to stop using Cator oil when my hair has fully grown all. You can try stop using the castor oil when you get satisfying results and see how you go, but I suggest to keep applying it less frequently to maintain the results. I guess you will need to experiment and see if it works for you. everyone is different, and there is not a single solution that fits all. Some people will find onion juice to be helpful while others not. I’m so happy with my result. My friend wants to know Is it ok to use Regain for 2 months till its fully grown then stop using it and put Onion Juice or Cator to stop it falling off. Hi Sam, I don’t know what the side effects of Rogaine are, so I can’t recommend it. The whole issue with onion juice or castor oil is to replace the commercial application, but it’s your friend’s decision. Hi Angus, I really don’t know if combining several methods speed up the process as it hasn’t been studied. My thinking is that logically combining several methods is likely to increase chances, but of course I don’t know if it’s true or not. It is just my assumption as it covers more options. You can have a look at all the methods in my article on How To Make Your Hair Grow Faster: The Best Natural Ways. I know it’s hard to be patience as we all want quick results, but I remember reading that even with Minoxidil/Rogaine you need to wait several months to assess your condition and see if the method improved the situation or not. Good luck anyway! There is no problem to apply onion juice on places where you have hair. You can use your fingers or a cotton ball to dab the scalp. It’s like shampooing your hair – the shampoo still reaches the scalp to clean it, and the same with onion juice. Every person is different and results vary between different people. There is not a single solution that fits all. You will need to experiment to see if it works for you or not. This is not a quick solution and patience is required. You can use it daily (or minimum three times a week). If you don’t see any improvement after a few month then probably there is no point to continue. You can view other method for regrowing hair in my article on How To Make Your Hair Grow Faster: The Best Natural Ways. I believe you’ve lost hair during massaging the scalp. Too much massaging, unlike gentle massage, may cause hair loss. Massaging the scalp should boost up the blood circulation and aid hair growth. I can only believe that the hair you lost was about to fall out anyway soon. We also lose normally about 100 strands everyday, sometimes less, sometimes more. Follow the onion juice application with a gentle massage for a few months to see if you notice any improvement. If you don’t see any improvement, discontinue with the treatment. Can i mix onion juice with apple vinegar? You need to dilute the apple cider vinegar (ACV) – around 2 tablespoons in a cup of water. And to that you can add onion juice. Don’t apply undiluted ACV as it can burn the skin. Hi Pamela, The onion juice is not supposed to increase hair fall. What you describe happens to many people (as you can see from the comments), and I don’t believe it attributes to the onion juice. I can only believe that the hair you’ve lost was about to fall out anyway soon. If you brush or comb your hair you also lose hair. We also lose normally about 100 strands everyday, sometimes less, sometimes more. Also the sabal extract (which is also known by the name saw palmetto) should not have caused it, as saw palmetto also encourages hair growth (see more information in my article about it). I would still follow the onion juice application with a gentle massage for a few weeks (preferably more) to see if you notice any improvement. If you don’t see any improvement, discontinue with the treatment. But it’s really up to you. This is Raj male 36, I have been using onion juice past 1 month weekly 4 times.I did not see any results yet.I hope i will see :). Every day i am using Rogaine foam. I don’t think there is harm in trying the 2 methods at the same time. For any hair treatment you try (commercial or natural), one month is too short period to see results. Please let me know if you find it useful, using onion juice with rogaine foam? I am using onion juice on my hair scalps. If I am using daily this onion juice of my hair.so can I face any problem. Daily using. You can use it on a daily basis. Some people may develop skin irritation to the onion juice but if you don’t experience it, then you can use it on a daily basis. Hi i have been using onion juice for 5 months but haven seen any change.. should i stop using it ..? and try something else such as vitamin e capsules..
Hi Joseph, you can try another method or combine 2 of them – see all the natural methods to encourage hair growth HERE. Every person is different and results vary between different people. Some people may find some improvement, while for others it won’t make any change. 1)Applying Onion juice alone gives best results or mix of onion and castor oil gives best results, i mean which of the both is best recommended? , if mix then what is the ratio? 3)How can i come to know that this remedy is not working for me ? 4)Somewhere on the web i read applying honey to hair leads to white/grey hair, so is it recommended to use honey? 5)Could you please suggest a shampoo name that is best to use, yes i have read all your comments above(baby shampoo/mild shampoo), but can u please suggest a particular shampoo name that will help during this process..
Hi Rakesh – 1) + 2) I couldn’t find clinical trials to compare which of the two methods works better, so I don’t know the answer, but generally speaking you can combine or alternate between two or more methods. For example: you can add to the castor oil peppermint EO or rosemary EO which both have shown to encourage hair growth (see my article How To Make Your Hair Grow Faster: The Best Natural Ways for more information). You can also mix onion juice and castor oil in equal ratios (shake well before each application as water and oil separate). 3) You will know that a certain method doesn’t work for you if you give enough time (usually several months) for the method to work out but you don’t see any improvement. This is not a quick fix and patience is required. Results vary between different people – some may find it helpful, while for others it will not do the job. 4) I haven’t heard that honey makes the hair grey or white. If you don’t want to use honey and the onion juice irritates your scalp, you can dilute it with a little bit of water. 5) I tend not to recommend specific brands because brands vary between different countries and also I’m not associated with any product/company. If you have dandruff, you can add tea tree oil to your shampoo (more information HERE) or try apple cider vinegar (more information HERE). I’ve been using Rogaine Foam for the last one year and i’ve seen improvement in my hair growth but i wanted to go natural and been using the onion juice from past three months and completely stopped using rogaine. I have seen regrowth in the frontal hair line and lost alot in the back of my head since i stopped using rogaine i guess. been using onion juice with garlic on the alternate days and washing it the same day with Patanjali Aloevera shampoo. But the amount of hair loss day by day is increasing i dont know if its the shampoo or the water(as i am now using Poland spring water to wash my hair and changed my shampoo from selsun to patanjali). Could you please suggest me a routine to use the onion juice and should i get back to rogaine with the onion juice. Hi Bunty, I really struggle to give you specific advice. If you read comments of others readers you will see that some of them complained that they have noticed hair loss after applying the onion juice. I’ve replied to them that I believe they’ve lost the hair during massaging the scalp. I don’t believe they’ve lost the hair because of applying the onion juice. Too much massaging, unlike gentle massage, may cause hair loss. Massaging the scalp should boost up the blood circulation and aid hair growth. I can only believe that the hair they’ve lost was about to fall out anyway soon. We also lose normally about 100 strands everyday, sometimes less, sometimes more. In you case it’s different because the hair loss might be attributed to stopping Rogaine application, so I’m not entirely sure. I guess the only best thing you can do is experimenting for several months with natural methods to encourage hair growth, wash with mild shampoo and follow with a gentle massage. After several months you will need to assess your situation. I apologize I cannot be more specific. Every person is different and results vary between different people, and I don’t know the answers better than you or any other person. Thanks a ton for the quick response. I was wondering may be if it’s my shampoo(Patanjali) that wasn’t effective enough in cleaning my scalp because i could see my scalp with the onion flakes for days and could it be the reason to clog the pores and make the hair to fall? I’m not familiar with this shampoo. It does not available where I live. We can clean shave our hair in the head 3 or 4 times a month and it also increase the hair grow and avoid hairfall also……..plzzzzz give me your ideas..
You can use neat onion juice overnight if it doesn’t cause you skin irritation. To treat your dandruff problem read this article. I haven’t heard that shaving the hair on the scalp increases hair growth. For more methods to encourage hair growth please refer to this article. And next one is i had heard that continues shaving the hair makes the hair stronger and reduces the hairfall also it does work or not? I can’t answer your first question – As results vary between different people, it’s hard to know what will happen in your case. Some people find that natural methods to encourage hair growth don’t give them satisfying results and therefore resume to Minoxidil. The only way is to try a certain method for several months and see what results you get. As for the second question – According to Mayo Clinic, shaving hair doesn’t change its thickness, color or rate of growth. It is says there that shaving gives the hair a blunt tip, and the tip might feel coarse or thicker for a time as it grows out. During this phase, the hair might be more noticeable and perhaps appear darker or thicker — but it’s not. Can this thicken hair..And How often to apply it…Can it be used on daily basis..
You can apply it daily (or minimum three times a week). I’m not sure if it makes the hair thicker. From what I’ve seen in the research, they talk about hair growth but not about thickness, so I don’t really know. Do I need to wash my hair with mild shampoo before applying onion juice. I think that wash would clear my scalp of natural oils and the onion juice would be readily absorbed into the scalp. I have a normal scalp. Neither too oily nor too dry. Basically you need to shampoo after applying the onion juice. If you have a normal scalp and not too oily, I don’t think you need to shampoo before applying the onion juice. I AM 25 YEARS OLD. BUT I HAS GOT 40 YEARS OLD MAN BALDNESS. i WANT TO REGROWTH MY HAIR. THEN AS PER YOUR ARTICLE UNION IS GOOD FOR HAIR LOSS, BUT ITS DEPENDED ON PERSONS. THEN HOW TO CHECK ONION IS SUITABLE FOR ME. IF IT IS SUITABLE FOR ME, HOW MUCH QUANTITY ONION JUICE USE IN DAILY BASIS THEN MINUTES..
Every person is different, and results vary between different people. Not every method works for everyone, and the only way to know if it works for you is to try it and see if it makes any difference. The quantity should be small but enough to cover the bald area. Leave on for at least 15 minutes (longer if you can tolerate the smell). I went to the dermatologist and was told that my hair follicles were gone/damaged/destroyed. Devastated to say the least. After the visit to the Dermatologist, I started investing in natural herbs for hair. However, after 3 months, some improvements were noticed, but this route financially would break the bank. My husband asked weekly how was the process going with the herbs? My response was… ‘I see some improvements.’ Pictures were taken, hair was measured and the bald spots were still shinning, other areas had very little hairs. That’s when my husband asked me to trust him with my hair growth and introduced the onions and juicing. Since I’m no southern girl and know little about farming, flowers, or planting anything to make it grow; I had nothing to loose, yet everything to gain. We began chopping up onions, using a cheese cloth to put the chopped onion, and then squeeze the juice onto my scalp. My first day using onions was February 13 and today is February 26, 2017. I can say with excitement, I see 100% more hair on my head and in the effected areas too. Now I have hair all over my head, thin, short, but its there and growing. The shinning spots are gone too. The onion treatment really works and its much faster than any other hair regiment I’ve used before. Here is the hair regiment I used and will continue to use for a total of 2 months (per my husband, my number one fan). * Chop one full onion (small pieces) every 4 to 5 days. * Keep the onions stored in the fridge, SEALED or you’ll regret it. * Wash hair, immediately massage the NATURAL OIL/COLD PRESSED into your scalp. Use whatever oil that works best for your hair/scalp. (I use tea tree oil or lavender oil) The oil must seep into the scalp follicles and not clog the hair pores. This is where the hair strands are most vulnerable. So treat them with loving care by applying your favorite leave in conditioner. You can use whatever works best and one that adds a pleasant smell to your hair. Keep in mind, your hair should feel very clean. You MUST replace the oils lost during wash for that natural feel again. Style and go! Thank you for sharing. I’m glad that you see good results! Red shallot or big onion most preferable??!! You don’t ingest it. You apply it to your scalp. I am having hair fall for about 1 yr. I tried many natural ways to grow hair but none has been succesful.. wil applyin onion juice help me? What else does onion juice do except for hair growth? Hi Sreeja, as I’ve replied to several readers before, there is no 100% guarantee for any method to work. Every person is different and results vary between different people. You can only try for several months and see if you notice any improvement. You can also refer to other natural methods which I’ve mentioned in this article. 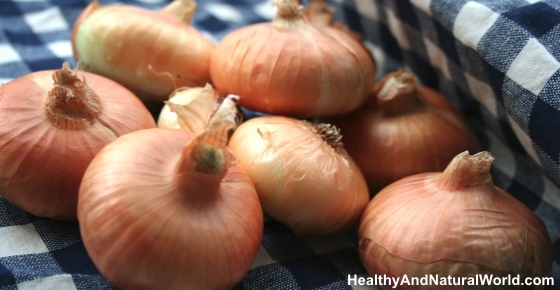 Onions and onion juice can contribute to your health in other ways – read more about it in my article “How to Use Onions to Heal and Protect Your Entire Body“. Hi Jenny, I am experiencing rapid hair loss and I suppose it is due to the climate change as I moved from one country to another country. This is also related to genetics as I have a family history of loosing hair around the age pf 35. Can onion juice help in re-growth under mentioned circumstances?. Thank you in advance for your feedback. I don’t know Kamran as results vary from person to person. The only way to know is to try and give it time. Thank you jenny for the reply. I am on it since over a month now. Let see how it goes. am facing the problem which is hair fall,… all of my scalp covered with hair but the hair line really really not ok.. have space and I can see the scalp getting hairless.. skin my hair becoming damage day by day.. to get back perfect hair only onion jouce enough??? am only 18 years old boy. You don’t need to shave your hair as it doesn’t contribute to hair growth. You can apply the onion juice as per the instructions in the article. You will need to give it a try and be patient and see if it works for you. There is no guarantee for success, but it worth trying. According to the research, the participants who applied onion juice did it twice daily for two months and experienced much better hair re-growth rates. Since onion has a very strong odor, I don’t believe that only water without shampooing will remove the smell, but you can try. Otherwise use a mild shampoo such as baby shampoo. Jenny is it necessary to apply it daily twice a day? This is the way it was done in the study itself. I know it’s difficult to do it twice a day, so I guess that even less than that is better than nothing. then can’t feel like growth my hire… actually i am making and it will keep a week in the fridge.. because i can’t make it daily.. what to do…? tell me a solution..
A few comments: 1) It’s best to use fresh onion juice. I understand that it is difficult to make it fresh daily, but you can slice a piece or two of onion and rub it on your scalp. 2) Every person is different, and results vary between different people. It may not work for you or work only partially. 3) Hair fall will not completely stop as we normally lose hair everyday. 4) You can try and give it more time to see if there is any improvement, or alternatively try to combine other methods to encourage hair growth. See them in my article “How To Make Your Hair Grow Faster: The Best Natural Ways“. 1) If I will do onion juice massage process twice a day then there is any need to use regular oil for hairs (mean i m using daily coconut oil for saving hairs from dryness) ? 2) If yes then tell me before applying onion juice i can use the hair oil or after I can use like regular basis m using current days for saving hairs from dryness? 3) Before applying onion juice on hairs its necceary to wash the head. I will try to answer your questions: 1) The onion juice doesn’t come instead of the coconut oil, as it doesn’t repair dry hair. 2) You can mix the hair oil and onion juice together. 3) You don’t have to wash the head before applying onion juice. 4) Applying onion juice can cause a skin irritation for some people who have sensitive or dry skin on the scalp. Therefore start from a small skin patch and see how the skin reacts, or mix it with honey as per the second method. Honey adds moisture to the scalp and is good for maintaining a healthy skin. It seems like so much work to juice an actual onion. Can I just use packaged [bottled] onion juice instead of using actual onions from the store? I’m not sure if you mean bottled onion juice that you’ve previously prepared yourself and stored in the fridge, but as a general rule – fresh is the best. Many nutrients lose their potency during storage and you may not get the same effect as fresh onion juice. For an easier preparation, slice a thin slices of fresh onion and rub them over your scalp. do you think if it works for me?? I don’t know. Every person is different, and results vary between different people. You don’t know until you try. If i store this juice for 5 to 10 days. Then i use it,any problem is occured wiht my hair or sclap ? I recommend to use fresh onion juice to encourage hair growth. Some of the nutrients in the onion juice that help with the hair regrowth can get damaged after a few hours so it’s best to use fresh juice. Whether you use fresh or stored onion juice, make sure to try it on a small skin patch to make sure it doesn’t irritate your scalp. Can We Mix Both Onion Juice aloe vera ….? I don’t know but you can try it. I tried the onion juice method and i really like it, the problem that I have is with the smell afterwards, do you have any advice/recommandations to make it less stinky ? Usually shampooing after the application should remove the smell, but you can always add some lemon juice or rose water to your hair rinse. Essential oils can also be used to mask the smell – Rosemary and peppermint essential oils both promote hair re-growth, so you can add a drop or two of these. Does using onion juice for scalp twice in a week helps preventing receding hairline? In the research mentioned in the article, the participants applied the onion juice twice daily for two months and experienced much better hair re-growth. I guess that applying it only twice a week will not give as good results as applying it more frequently, but every person is different and results vary between different people, so it’s hard to tell until you try it. I am using minoxidil on daily basis shall I continue minoxidil application while applying onion juice? It’s really up to you. If you see that minoxidil helps you and you don’t get side effects, then you can combine both to see if you get an even better result. I don’t really know. You need to experiment and see if it works for you. H! Jenny, Many thanks, you are a gem. I have been using the onion juice on my head for 2 months now, once daily. To a good fortune i have noticed excellent results, not completely transformed but it bought me to a decent level where i feel good again. Should i stop using this method now or should i make it infrequent to maintain what i have build. I’m glad it worked for you. I would continue using it less frequently to maintain the results. Yes, you can. Side effects can occurs if you are allergic to any of the substances. If you are allergic to one of the ingredients, you can develop skin irritation. Do a patch test first. Ok jenny I am doing this process since 1 month ago.This makes my dandruff problem solve. As I’ve replied to many previous readers who wanted to know about the efficacy of the method, there is no solution that fits all. That means that results vary between different people. Some people may notice improvement, while for others it will not make the job. The only way is to try and give it enough time to work. Should I can expect new hair?? I don’t know. You will have to try. As I’ve said, results vary between different people. with regard to the two recipes mentioned on this page, i would like to know if they are both for hair regrowth or one for regrowth (just onion juice) and the second one (onion juice +honey) for strengthening the hair. Basically i want to know if just onion juice is more effective or the mixture with honey is equally effective. Would appreciate if your help. You can use onion juice only for hair regrowth. However some people find that the onion juice can cause them skin irritation on the scalp, and in these cases mixing it with honey can help. You can start with only onion juice and see how you go. I dont mind the smell of onion juice on my scalp. And wash it off in the morning? Yes, you can, but perhaps try at first for a shorter periods of time to make sure the skin on your scalp doesn’t become irritated. Ive lost quite a lot of hair on top due to diffused thinning over the past one year. It may be genetic or stress. I feel ive lost hair due to poor nutrition and lack of sleep. Its been a month since i started onion juice treatment and there is a significant hair growth. There is lot of thinning so i have to stay consistent i guess. Applying onion juice and garlic and leaving it overnight every alternate days. Drinking 10ml Amla juice in empty stomach first thing in the morning. Applying castor and coconut oil every third day and rinsing it with Apple cider vinegar in the morning and mild shampooing. Massaging the scalp 10 mins per day. Cardio and weights training approx 10 hrs per week. Please let me know if there is anything else i can do which will help. How to Use Peppermint Essential Oil for Hair Growth and How to Use Rosemary for Treating Hair Loss. For example: you can add a few drops of these essential oils to the castor and coconut oil mixture. Can I apply oil before using that onion juice on head? Because my hair gets harden up if I’ll using shampoo. can i use head and shoulders shampoo for rinsing . I guess you will need to try to see if it works for you as results vary between different people. Hi Jenny I am using onion juice from 2 weeks. In first week the shedding was reduced, it made my hair dry, so I decided to go onion juice with coconut oil now I feel that shedding is increased, I am not doing any hard rub. I don’t believe you’ve lost the hair because of applying the onion juice and coconut oil as they should not increase shedding hair. I can only believe that the hair you lost was about to fall out anyway soon, as we normally lose hair strands everyday. I think you need to give it more time to determine the effect of it and to see results, but it’s really up to you. Thanks for reply, I will give more time, btw how I can check growing new hairs or not, is there any way to check ? By finger tip touch? I guess that the best way to find if new hair grows is by simply seeing it. How to identify hair is coming back. Putting figure on scalp little moment and feeling like some hairs are short and its sharp….To touch. I guess that the best way to find if new hair grows is by simply seeing it. I’m not exactly sure how the new hair should feel, as every person is different and results vary between different people. 1.my hair is very weak will it make it stronger? 2.even though it’s long can it make my hair longer? 3.i’m 14 years old will it work on my hair? As for your questions – I understand your concerns, but I can’t give you any guarantee whether onion juice can help you or not. As with any natural or conventional remedies, results vary between different people. Some people notice improvement while others not. You can’t know until you try. I’m sorry that I cannot be more specific than that. Hi, I am having gray hair since I was 18 years old. Initially I was using Henna but now I started coloring my hair. I am 39 years old now and facing hair fall. I need to color my hair every second week as it looks horrible. What should you suggest me. My hairs have become very thin and all gray. Pls help. Many hair dye products contain various chemicals that can cause thinning hair when using them for long period of time. I know that there are natural hair dyes that are based on henna and indigo which you can buy in natural health shops or online. I haven’t tried them as I don’t dye my hair, but I think it worth giving them a try. Several months ago I came across the book of Christine Shahin called “Natural Hair Coloring: How to Use Henna and Other Pure Herbal Pigments for Chemical-Free Beauty”. This book is available on Amazon and contains detailed information on how to dye your hair at home using natural dyes. In conjunction with changing your hair dye, you can try some of the natural methods of encouraging hair growth – find them in my previous article. Hello.. In case if i use onion juice and my hair is regrown back. Does stopping the onion juice treatment again results in hairfall. I believe so. I guess that if you see some improvement in the hair growth, you will need to continue with the onion juice application, but perhaps you can reduce the frequency just to maintain the results. The study was performed on people with alopecia areata (an autoimmune disease that presents with patchy hair loss), and according to the results men had better success with the treatment than did women. Hi….really intresting article. My question is, can I apply onion juice and leave it overnight and then wash it in the morning.? You can leave it overnight, but some people may find that onion juice irritates their scalp, so better to start from a shorter period of time to see how your skin reacts and to make sure there are no skin sensitivities. Thank you jenny Hills. Your are so cooperative. I will definitely give it a try and share my experience. Thanks again. As I’ve replied to one of the previous comments, and from what I’ve read, this is a complaint of many new arrivals in Arabian Gulf countries. The main source of tap water in the Arabian Gulf is desalinated, but since the seawater is polluted, it causes more bacteria growth. To treat this problem, desalination plants add more chlorine to kill bacteria and then add lime (a calcium compound) to help control the chlorine levels. The chlorine and calcium in desalinated water are the ones to blame (unless there are other reasons for the hair loss, such as stress, nutritional deficiencies, poor diet, hormonal issue etc, which needs to be addressed too). I’m not sure if you have access to spring water to wash your hair but perhaps you should try it along with the onion treatment. There is no guarantee for success and results vary between different people. Thanks for your valuable reply, I apply onion juice for the past one month (thrice in a week) but didn’t see any hair growth when i see infront of mirror.But when i touch my scalp i feel some hairs are short and sharp. What is the symptom of this is there some hairs newly grows?? or its my previous hair?? Regrowing hair takes time – more than a month. This is not a quick fix and patience is required. I believe you need to give it more time to see if it makes any difference. In the study itself the results were assessed after 2 months, and for some people it may take even longer. This remedy stop whitening of hair? I’m not really sure, but you can have a look at my article about The Best Natural Supplements for Treating Premature Gray Hair. i’m applying only onion juice without mixing any oil, is it recommended. or i can mix any oil with onion juice for better results. please help me i’m getting bald soon…..
You don’t have to mix onion juice with other ingredients if it doesn’t cause you any skin irritation. I don’t know to compare between the results if you use only onion juice (as per the study in this article) or if you mix it with castor oil, for example, which also helps to regrow hair (see my article about castor oil for hair) as I’m not familiar with studies that compared a group of people who used only onion juice and a group who used a combination of both. It might be that combining them can potentially give you better results, but I cannot be sure as results vary between different people. The only thing you can do is to try one of the methods for encouraging hair growth, which onion juice is one of them – have a look HERE. IN the week how many time we use this treatment. In the research itself, the participants who applied onion juice twice daily for two months experienced much better hair re-growth than the comparison group. I know that applying it so frequently will not be possible for most of the people, so you need to apply it at least 3 times a week, preferably more. It usually takes several months to see if there is any improvement. It’s not a quick fix, and patience is required. so i try this treatment. I don’t believe that applying it only once a week will give you any improvement. You can mix onion juice with coconut oil. I don’t know which one of them will give better results as I’m not aware of a study that compared between the two, and also results vary between different people. You can be creative and combine more that one method to encourage hair growth – you can see them in my article “How To Make Your Hair Grow Faster: The Best Natural Ways“. Do you have any idea about using Vitamin E Evion Capsules for hair loss problem as well as getting long thicker hair. are they effective ? or any other side effects ? Hi Rahul, as you may be aware of, you are not the only person who asks questions. You are one of many, and replying to all the people takes time. Obviously you don’t have enough patience, and maybe it’s something you will need to work on, as regrowing hair requires quite a lot of it (it’s not a quick fix). As for your question – I’m not familiar with these capsules but from what I’ve seen these are just a capsules of vitamin E oil. I have a detailed article about the benefits of vitamin E for face, hair and health which you can read HERE. Taking high doses of vitamin E may be harmful for some people (see more information in WebMD). Talk to your doctor and discuss the right dosage for you before taking vitamin E supplements. Hi Salman, sometimes it may take longer to see results. Even with commercial applications such as Minoxidil, it is recommended to use for at least for 6 months. I’m also not sure how often you apply it, but it’s really up to you if you want to give it more time or not. There is no solution that fits all, and it might be that in your case it doesn’t work. You can combine this method or try other methods for encouraging hair growth – see more information in my article about this subject. But, again, there is no guarantee for success. Yes, you can. You can try to combine different methods to encourage hair growth – see more information HERE. I must tell this onion juice changed my whole lifestyle, because my hair was falling rapidly and can see bold spot on scalp, also i had 40% of my hair completely white. so i started this onion juice treatment about 4 months continually, 3 times a week. how frequent and method of applying the onion juice. Do you mix onion juice with other ingredient. Also how long to keep the Onion juice on scalp. Was the onion juice freshly made every time you applied. or stored in refrigerator if yes. How many days refrigeration. Sorry to ask so many queries but it would surely help all. request to answer. You will need several months. Even when using Minoxidil it is recommended to use it for 6 months. If after a few months you don’t see any improvement, then probably there is no point to continue with it. will the onion affect my hair, if i just rinse it with only water, no shampoo? I don’t believe that water only will take off the onion smell but you can try it. Thanks for the great article .. but does this can stopped hair fall ? You will need to try and see if it works for you. There is no a single solution that fits all. For some people it may work while for others it may not do the job. The only way to know is to try it. It’s hard to know which one is more effective because there is no research that compares the efficacy of the methods in relation to one another, and results vary between different people and different methods, so I can’t say which method will be the most effective. Some people use only one method and see if it works for them, while others combine several methods. You have all the instruction and information in the article. Can I directly apply castor oil..!! Or should I have to mix something with it….!!! You can apply castor oil directly without diluting it. Read more about it HERE. If I buy the commercially prepared onion juice, can I still use it, since it have to be prepare fresh every time you use it? Fresh is always the best. Commercially prepared onion juice may contain some additives, and you don’t know how long they have been on the shelves, so it may affect the content of the nutrients which can get damaged after a few hours. Ok Thank you. So it would be better to use half an onion because a whole onion would give you juice for more than one day. yes, you are right. Or you can rub a slice or two of onion on your scalp. There is no advantage of shaving the hair, so it’s really up to you. Yes you can, but I would do a skin patch test to make sure there is no skin irritation. In the study mentioned in the article the participants applied the onion juice twice daily for two months, so I guess you can apply it daily. I respect each ones contribution over on this platform. Not that i am skeptic but want to see some pictures proving the onion juice cure for the hair regrowth. Also can we go with Onnion juice at night (over night) and morning hours with Oline and Onion for 2 hours , later shampooing. If Yes, how long should this process be implemented and how many times in a week. Again it is purely a request and not doubting any comments. As a starting point it’s best to start for a shorter period of time and see if you don’t develop any skin irritation. Do it for several times and see how you go. If there is no skin reaction, you can gradually extend the period which you leave it on the scalp. According to the study mentioned in the article, the participants applied onion juice twice daily for two months and then the results were compared to those who only used tap water. However I believe that if you want to retain the results, you will need to continue to use the onion juice, but perhaps less frequently, but I’m not sure. thanks Jenny for taking out time to reply. However is there any possibility of posting the pictures from ones who claimed it is working as it would give the approach and more confidence to build perseverance. Also Can we apply Olive Oil and Onion juice together for once or twice a day for say 2 months. I haven’t received images of people who claimed it has worked for them. As for your second question – yes, you can mix them. i see the hair gets brittle when onion juice is applied on scalp esp after drying and leaves the hair fragmented. Is this case for all the ones who use onion juice on scalp. Also if we apply olive oil i am able to see hair falling (few trichologists mentioned not to use oil on scalp as it is a natural process to secrete oil (scalp) .. I have been using Olive oil and onion but hair thinning has not improved ,,, there is no sight of thickenning of hair on scalp. Please can anyone suggest the best method to see positive results and share their own experience. I have found applying the whole onion finely chopped in a blender, to my scalp using a shower cap works to close my bald spots. Which onion would be better to use to stop the smell? Has anyone found out what the active ingredient is in onions that makes this treatment work? Hi Dennis, how frequent was your usage of onion juice. Also was there was mix of any other ingredients along with onion juice. Are you seeing thickness of the exisity hair or growth of new hairs as well..
I’ve been using the onion and honey mixture for almost a month/3x per week and I can see the positive results already. I’m planning to continue for another month. My question is: when I stop using this mixture will I start loosing my hair again?? I’m afraid that yes, as the results are not permanent. Even with commercial applications, such as Minoxidil, you need to continue using them on a regular basis.